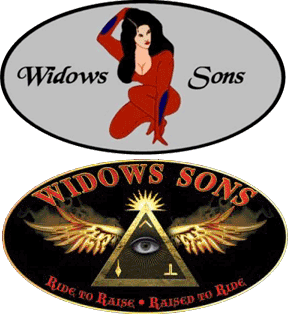 In 2010, while Most Worshipful William H Berman’s was Grand Master of Masons for the State of New Jersey, the Widows Sons were founded in New Jersey. During the following year, Most Worshipful Joseph H Rival Jr, Grand Master of Masons for the State of New Jersey, we received official recognition. In his closing address during the Annual Communication of the Grand Lodge of New Jersey, he offered this bit of advice. The second thing I did was to officially recognize the Widow’s Sons Motorcycle Association. They appeared before me and made a presentation on the by-laws, logo, code of ethics, structure and purpose of this group. I then agreed to recognize them as a Masonic Organization. While in Denver, at the Conference of Grand Masters, I was cautioned by a few other Grand Masters about this recognition. Not because of the Widow’s Sons themselves, but because of the other motorcycle groups, clubs or gangs and what differences, perceived or real, can develop when one group feels another is encroaching on its “territory”. I personally know several of the members of the Widows Sons as good masons, that I have much respect for. Therefore I feel I must caution you, the members, to be ever alert as to where you are and who you associate with. There will be times when you will be required to take a good look around you and ask yourself “is this where I really belong”. you actually have a rough and rugged road to travel beset with possible dangers at times while you are riding, and I caution each of you to ever act, walk, ride and conduct yourselves as Master Masons. The recognition you worked so hard to archive, can be withdrawn quicker than it was granted. Ride with pride to yourselves, and with respect to the Fraternity. Brethren, please always be sure to govern yourself accordingly.